Draft: 2007, Washington Nationals, 4th rd. Resides in Wichita, KS during the offseason...Named Kansas' Gatorade Baseball Player of the Year and was selected to the Louisville Slugger All- American Team as a senior in 2007. Appeared in 53 games with Tampa Bay in 2017...Posted his third career multi-homer game on June 8 vs. Chicago (AL)...became the fifth catcher in Rays history with a multi-homer game, first since Curt Casali on July 28, 2015 vs. Detroit...Was a perfect 3x3 with a double, a home run and two RBI on June 23 vs. Baltimore. Spent the entire 2016 season with San Diego, playing in 125 games...Equaled a career high with 14 home runs...Enjoyed his best month of the season in June, hitting .273 (21x77) with 14 runs scored, three doubles, five home runs and 16 RBI in 21 games...According to Baseball Prospectus, he ranked 10th in the Majors with 9.2 framing runs above average. In his first season with the Padres set career-highs in nearly every offensive category, including games played, hits, runs, doubles, triples, home runs and RBI....Started a career-high 116 games behind the plate, tossing out a career-high and Major League-best 38 runners…his 38 runners thrown out were the most by any Major League catcher since 2009 when Gerald Laird tossed out 40 for Detroit and the most by a National League catcher since 2003 when Paul Lo Duca tossed out 43 for Los Angeles…most by a Padres catcher since 1997 when John Flaherty threw out 42…his 38 runners thrown out rank seventh-most all-time by a Padres catcher, just the fourth catcher for San Diego to toss out as many as 38, joining Terry Kennedy (three times), Benito Santiago (twice) and Flaherty (once)....While behind the plate Padres pitched to a 4.14 ERA (479 ER, 1040.2 IP) on the season....Made his third career and third-straight Opening Day roster, making his first career Opening Day start on 4/6 at LAD, starting behind the plate and batting second, going 2-for-4 with a run....Overall on the season, collected a career-high 49 extra-base hits with 33 doubles, two triples and 14 home runs…his extra-base hits (not all while playing catcher) were the most among all Major League catchers in 2015, one more than Toronto's Russell Martin and two more than San Francisco's Buster Posey…his 49 extra-base hits were the third-most ever by a Padres catchers behind Terry Kennedy's 64 extra-base hits in 1982 and Benito Santiago's 53 extra-base hits in 1987....Over the first month he hit .313 (25-80) with one home run and 11 RBI before following up in May by hitting .260 (27- 104) with three home runs and 21 RBI…over 25 games in June he hit .168 (16-95) with seven home runs and 13 RBI....In the first half of the season he hit .233 (74-317) with 11 home runs and 45 RBI in 85 games…over his first 60 games, hit .271 (61-225) with seven home runs and 39 RBI before hitting .141 (13-92) with four home runs and six RBI over 25 games from 6/14 - 7/11 to close out the first half....His 11 home runs in the first half were tied with Gene Tenace (1979) for the second-most ever by a Padres catcher before the All-Star Break, one shy of Mike Piazza who had 12 in the first half of 2006....In the second half he hit .278 (55-198) with three home runs and 17 RBI over 62 games, closing out the year by hitting .298 (51-171) with three home runs and 17 RBI in his final 54 games from 7/30 through the end of the season.... In games in which he drove in a run in 2015, the Padres went 30-8 (.789)....Played in 17 games at first base and made 15 starts there in 2015, his lone career starts at first base....Hit his second career walk-off home run and second career grand slam with a walk-off grand slam on 5/29 vs. PIT…had previously struck out four times in that game before delivering the walk-off slam, becoming the first Major Leaguer to hit a walk-off slam in a game in which he previously struck out as many as four times, according to ELIAS....The grand slam was the second of his career and one of two for him in 2015, also hitting a grand slam on 7/30 at NYM in the seventh inning as part of a rally that saw the Padres come back from a 7-1 deficit to beat the Mets 8-7 that day....Overall on 7/30 at NYM he collected a career-high five hits, the most hits in a game for a Padre in 2015…with five hits on the day and one being a grand slam, he became the first Padre ever to have five hits and a grand slam in a game and the first Major Leaguer to do so since Russell Martin did it for the Yankees on 8/25/11 vs. OAK…first National League player to do so since Tsuyoshi Shinjo did so for San Francisco on 7/2/02 at COL....The walk-off grand slam on 5/29 was the sixth in Padres franchise history and the first for San Diego since Adrian Gonzalez did so on 6/2/10 vs. NYM in the 11th inning....Collected a total of 22 infield hits in 2015, the most by any Padre and the most among all Major League catchers… since reliable data on infield hits became available in 1987, his 22 infield hits are the most by a Padres catcher. Posted career-highs in nearly every offensive category for the Athletics en route to being named to his first All-Star team...Set career-bests in games (127), at-bats (385), runs (46), hits (104), doubles (19), home runs (10), RBI (55), walks (54), batting average (.270), slugging percentage (.403) and OPS (.763)...Had a .276 batting average in 114 games as a catcher, the second-best average by an AL backstop…also had the second-best on-base percentage (.364) and third-best slugging percentage (.411)...Since 6/29/13, has hit .285/.374/.440, the fifth-best batting average, the best OBP and seventh-best SLG of any Major League catcher…ranked fourth in the AL with a .394 OBP when leading off an inning...Hit .294 with eight home runs, 37 RBI and a .402 on-base percentage in 70 games before the All-Star Break…batted .245 with two home runs, 18 RBI and a .314 on-base percentage in 57 games after the break...Posted a .330 batting average (35-for-106) with runners in scoring position, the ninth-best mark in the AL and fourth-best among Major League catchers with 100 or more plate appearances with RISP…is a .315 (69-for-219) career hitter with RISP, the fifth-best average by a catcher since 2012...Batted .311 (47-for-151) with a .470 slugging percentage against left-handed pitching compared to a .244 average (57-for-234) with a .359 slugging percentage against right-handers…among big league hitters with at least 150 AB vs. LHP, his average ranked eighth and his SLG ranked 11th…hit five of his 10 home runs off lefties...Hit .303 with seven home runs and 38 RBI in 64 games at home compared to .240 with three home runs and 17 RBI in 63 games on the road...Was 4-for-15 (.267) with a double, a home run, five RBI and three walks as a pinch-hitter…his RBI total ranked tied for third among AL hitters in the pinch...Turned in a 3.13 catchers ERA, the lowest mark in the AL and third lowest in the Majors…it was the lowest by an AL catcher since the A's Terry Steinbach had a 2.88 ERA in 1989...Started games at every spot in the order except first, third and ninth…saw his most action with 47 starts batting fifth. Hit .246 in 98 games with the A's, which was a 45-point improvement over his rookie season average of .201 in 2012…added nine home runs and 30 RBI…walked 37 times for a .345 on-base percentage…batted .320 (48-for-150) with all nine of his home runs and 25 of his 30 RBI against left-handed pitching compared to .149 (17-for-114) against right-handers slugged .580 against lefties, .184 against righties in 2012, he hit five of his seven home runs against right-handers…his career splits are .280 (66-for-236) with 11 of his 16 home runs against left-handed pitchers, .173 (41-for-237) against right-handers…was hitting .188 with three home runs and 15 RBI in 56 games through June 28…then batted .343 with six home runs and 15 RBI in 42 games from June 29 through the end of the season…four of his nine home runs and nine of his 30 RBI gave the A's the lead…seven of his 16 career home runs have put the A's ahead…eight of his home runs came at night, six came with two outs and six were hit at home…10 of his 16 career home runs have come with two outs…was successful in all five of his stolen base attempts and is now 10-for-11 (91.0%) in his career…hit .333 with three home runs and seven RBI in 13 interleague games and now has a .308 (12-for-39) career average with four home runs and 11 RBI in 16 games against the National League…went 0-for-7 with a walk with the bases loaded and is 1-for-16 in his career…made a team-leading 71 starts at catcher…since 1981, the only A's team-leader to make fewer than 72 starts behind the plate is A.J. Hinch (67 in 1999)…tossed out 7-of-42 (16.7%) attempted base stealers and has thrown out 13-of-82 in his career (15.9%)…also appeared in one game at first base and went 3-for-7 (.429) in two starts at designated hitter…was 3-for-15 (.200) with three walks, three home runs and five RBI as a pinch hitter…tied for second in the American League in pinch homers and tied for fifth in RBI…is the fifth player in Oakland history with three or more pinch homers in a season, the first since Jeff Burroughs set the record with four in 1982…made his most starts in the order batting eighth (27) and started in every spot except first, third and fourth…hit .290 with six of his nine home runs in 34 games overall hitting eighth. OAKLAND: Pinch hit in each of the first two games before making his first start of the season April 3…went 1-for-3 that day against Seattle and hit safely in four straight games from April 3-11 (6-for-13, .462)…that was his longest hitting streak of the season…reached base safely via hit, walk or hit by pitch in a career-high 11 consecutive games from April 13-30…went 7-for-30 (.233) with 10 runs, 10 walks and a hit by pitch during the streak (.429 on-base percentage)…doubled in three straight games April 13-15…went 1-for-3 with three runs scored and two walks April 15 against Houston…the runs and walks were career highs…walked two more times in his next game on the 17th, also against the Astros… went 10-for-74 (.135) with 14 walks over a 24-game stretch from April 17 to May 20…struck out three times in a game for the first time in his career April 22 at Boston (also May 9 at Cleveland and Sept. 7 vs. Houston)…grounded out as a pinch hitter in the seventh inning April 29 against Los Angeles (AL) and ended up going 0 for 5 with a walk in the 19-inning game…he and Rosales had six plate appearances, which match the most in Oakland history by a player not in the starting lineup (nine times, last: Jerry Browne on June 12, 1992 vs. Texas)…batted .283 with a .443 on-base percentage in 18 games in April…then hit .164 in May and .160 in June and combined for a .163 batting average and .241 on-base percentage in 40 games in those two months…hit his first home run of the season May 10 at Seattle, snapping a season-opening 24-game homerless streak…that was the second longest homerless streak of his career (25, Aug. 15-Sept. 26, 2012)…had his first career two-double game May 22 at Texas…went 3-for-33 (.091) with five RBI over an 11-game stretch from June 6-21…two of the hits and four of the RBI came on June 11 against New York (AL)…the RBI were a career high…caught all 18 innings June 13 against New York (AL) and went 0-for-7…is the second A's catcher since 1973 to catch 18 innings in a game (Damian Miller, Aug. 8, 2004 against Minnesota)…went 11-for-30 (.367) with four home runs, nine RBI and seven walks (.486 on-base percentage) in 16 games in July…the batting average, on-base percentage and home runs were his most in a month in his career…homered in back-to-back games for the first time in his career July 25 and 27 against Los Angeles (AL)…the home run on the 27th was a pinch hit two-run shot off Scott Downs in the bottom of the seventh inning with the A's trailing 1-0… it was his first career pinch hit home run and it snapped a career-opening 0-for-12 streak in the pinch… then homered in his next pinch hitting appearance Aug. 6 at Cincinnati off Aroldis Chapman…had his first career three-hit game Aug. 10 at Toronto…was batting .232 with eight home runs, 26 RBI and 34 walks (.338 on-base percentage) in 84 games when he was placed on the 15-day disabled list Aug. 23 retroactive to Aug. 21 with a fractured left big toe…it was his first career stint on the DL…went 6-for-14 (.429) with three runs, two home runs and four RBI on a three-game rehab assignment with Triple-A Sacramento from August 31 to Sept. 2…started two games at catcher and one at designated hitter…was reinstated from the DL Sept. 5 and hit .325 in 14 games in September…started at designated hitter Sept. 7 and 13, his only starts at a position other than catcher…had his second career three-hit game Sept. 13 at Texas…matched his career high with three runs scored Sept. 20 against Minnesota…connected for his third pinch homer of the season Sept. 27 at Seattle…made his Major League debut at first base Sept. 29 at Seattle in the final game of the season…handled four chances without an error…made one appearance at first base as a minor leaguer and it came on July 6, 2007 for the Nationals Gulf Coast Rookie League team in his sixth professional game…made one appearance in the ALDS against Detroit, striking out as a pinch hitter in Game 3. Split his season between Triple-A Sacramento and Oakland...batted .271 with nine home runs and 38 RBI in 58 games with the River Cats and .201 with seven home runs and 34 RBI in 60 games in his Major League debut with the A's...added 21 walks with Oakland for a .276 on-base percentage...stole five bases, which was an Oakland record for a rookie catcher...A's pitchers had a 3.08 ERA (170 er in 496.2 ip) with him behind the plate compared to 3.69 with all other catchers...the ERA was the lowest among American League catchers with 50 or more games played...it was the lowest by an A's catcher with 50 or more games since Ron Hassey had a 2.89 ERA in 1990...hit .339 with runners in scoring position, including .440 with RISP and two outs...had a .152 average with the bases empty...four of his seven home runs came with runners on base...three gave the A's the lead...was 1-for-9 (.111) with the bases loaded...hit .291 with four of his seven home runs with two outs...had a .146 average with zero or one outs...batted .316 with two home runs in the ninth inning...hit .195 (24-for-123) against right-handed pitching, .209 (18-for-86) against left-handers...connected for five of his seven home runs against righties...had a .231 average at night compared to .147 during the day...started 53 games at catcher and two at designated hitter...tossed out just 6-of-40 (15.0%) attempted base stealers...committed five errors for a .989 fielding percentage...started games in each of the bottom five spots in the order, including 26 hitting seventh and 23 in the eight spot. Made his Double-A debut with Harrisburg of the Eastern League and batted .210 with 20 home runsand 46 RBI in 104 games...ranked third in the league in walks (77)...his home runs came in just 334at bats, while his average of 16.70 at bats per home run was the best mark in the EL...ranked third inthe Nationals farm system in home runs...the batting average was his lowest over a full season, as washis .367 on-base percentage...stole a career-high 13 bases and struck out a career-high 117 times...led Harrisburg in runs scored (75) and walks...hit .225 against left-handed pitching compared to .204against right-handers...clubbed 13 of his 20 home runs and had 33 of his 46 RBI on the road...had a.274 batting average when leading off an inning but hit just .183 with runners in scoring position...batted .250 with the bases empty, .150 with runners on...hit under .200 in three months (.125 in April,.179 in June, .183 in August)...tossed out 39 of 97 (40.2%) attempted base stealers, which was thebest mark in the league...appeared in 95 games at catcher...also went 8 for 15 (.533) in six games atdesignated hitter and was 1 for 3 with a home run and two RBI as a pinch hitter...hit in every spot in theorder except first, fourth and seventh...batted fifth 37 times and second 36 times...played for Scottsdalein the Arizona Fall League following the season and was named to the AFL All-Prospect Team afterbatting .276 with two home runs and 11 RBI in 21 games...also played in the AFL Rising Stars Game...was rated as the Nationals ninth-best prospect by Baseball America following the season...moved up tonumber seven in the A's organization following the trade. HARRISBURG: Went 1 for 6 over his first three games before going on the disabled list April 12with a sprained right ankle...was reinstated April 19...had a season-high four strikeouts April 21against Trenton and May 6 against Reading...hit just .137 over his first 17 games through May 9...thencompiled a season-best nine-game hitting streak from May 10-25...went 12 for 34 (.353) with 11 runsscored, four doubles, four home runs, nine RBI and six walks during the streak to lift his average to.224...homered in three consecutive games at Akron, May 23-25...drove in a season-high three runs onthe 23rd...hit .277 with six home runs and 12 RBI in 20 games in May...had his first two-homer gameJune 3 at Erie and matched his season-high with three runs...then went 8 for 67 (.119) over his next22 games through July 2 to drop his average under .200 (.197)...had his second two-homer game July4 against Erie and also had season-highs in runs (3), hits (3) and RBI (3) in the game...went 0 for 18over his next six games to fall to .190 but a 13 for 35 (.371) stretch from July 16-26 lifted his average to.217...homered in three consecutive games for the second time, Aug. 16-18 at Akron...stole two basesand matched his season high in runs (3) and walks (3) Sept. 1 against Portland...went 2 for 12 (.167) with a home run and a RBI in three postseason games...was selected by Washington Nov. 18 and addedto the 40-man roster. Played in 94 games and posted a stellar .419 OBP, but was not at full health after having hamate removed in Oct.'09...regained full strength in Sept leading into Arizona Fall League...in 16 AFL contests, flashed live bat, hitting .278(15-for-54) with 5 doubles, 2 triples, 4 home runs, 19 RBI, 11 walks and 10 runs scored...ranked among AFL leadersin home runs (tied 3rd) and RBI (tied 5th)...with Carolina League champ Potomac, hit .235, but ranked 2nd in CarolinaLeague with a .419 OBP thanks to league-best 89 walks...ranked 3rd in CL in home ratio at 1/24.8 AB. Hit .286 with 30 doubles, 23 home runs, 84 RBI and 78 runs scored in 126 games with Hagerstown of the Single-ASouth Atlantic League...paced full-season Washington farmhands in home runs, walks (90), on-base percentage (.413),slugging percentage (.513) and OPS (.926)...following season, was named as the Best Batting Prospect and BestPower Prospect in a Baseball America polling of SAL managers...reached base safely via hit (125), walk (90) or HBP(8) 223 times in 126 games (1.76 times per contest)...ranked among SAL leaders in walks (first), OBP (first), homers(2nd, 23), total bases (224), OPS (4th), runs (4th, 78), RBI (4th, 84), slugging (5th) and doubles (9th)...threw out 36percent (51 of 151) of would-be basestealers...was to participate in the prestigious Arizona Fall League along withStephen Strasbrugh, Drew Storen, Chris Marrero and Danny Espinosa, among others, but fractured hook of hamatebone in last days of the Instructional League...had standard surgery to remove the hamate performed by Dr. ThomasGraham in Baltimore, MD on October 8...was scheduled to resume baseball activities in December...was named theNo. 4 prospect in the South Atlantic League by Baseball America following the season. In remarkable breakout season, led the short-season Single-A New York-Penn League with a Vermont-record 63 walksand a .444 on-base percentage...at .403, Oneonta SS Brent Wyatt was the only other player in the NY-P League torecord a OBP in excess of .400, while teammate Jake Dugger ranked 2nd in the NY-P League with 41 walks...in 3games, July 28-30, reached base in 16 of 18 plate appearances thanks to 6 hits and 10 walks...hit all 10 home runsin final 56 games beginning July 2...posted a .517 OBP when leading off an inning...was named the No. 4 prospect inthe NY-P League by Baseball America following the season. Showed extra-base power in professional debut with the Nationals entry in the Rookie-level Gulf Coast League...despitehitting just .203, posted a .382 on-base percentage thanks to 25 walks...12 of 25 hits went for extra bases (6 doubles,2 triples, 4 homers)...efforts helped the GCL Nationals earn a post-season berth. March 28, 2018 Toledo Mud Hens released C Derek Norris. January 30, 2018 C Derek Norris assigned to Toledo Mud Hens. 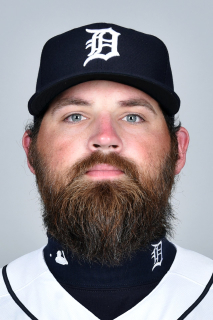 December 5, 2017 Detroit Tigers signed free agent C Derek Norris to a minor league contract and invited him to spring training. June 26, 2017 Tampa Bay Rays released C Derek Norris. June 24, 2017 Tampa Bay Rays designated C Derek Norris for assignment. March 28, 2017 C Derek Norris assigned to Tampa Bay Rays. March 26, 2017 Tampa Bay Rays signed free agent C Derek Norris to a minor league contract. March 15, 2017 Washington Nationals released C Derek Norris. December 2, 2016 San Diego Padres traded C Derek Norris to Washington Nationals for RHP Pedro Avila. December 18, 2014 Oakland Athletics traded C Derek Norris and RHP Seth Streich to San Diego Padres for RHP Jesse Hahn and RHP R.J. Alvarez. September 5, 2013 Oakland Athletics activated C Derek Norris from the 15-day disabled list. August 31, 2013 Oakland Athletics sent C Derek Norris on a rehab assignment to Sacramento River Cats. August 3, 2012 Oakland Athletics recalled Derek Norris from Sacramento River Cats. July 30, 2012 Oakland Athletics optioned Derek Norris to Sacramento River Cats. June 21, 2012 Oakland Athletics recalled C Derek Norris from Sacramento River Cats. March 19, 2012 Oakland Athletics optioned Derek Norris to Sacramento River Cats. November 18, 2011 Washington Nationals selected the contract of Derek Norris from Harrisburg Senators. April 19, 2011 Derek Norris roster status changed by Harrisburg Senators. March 31, 2011 C Derek Norris assigned to Harrisburg Senators from Potomac Nationals. February 22, 2011 Washington Nationals invited non-roster C Derek Norris to spring training. August 31, 2010 Derek Norris assigned to Scottsdale Scorpions. May 31, 2010 Derek Norris roster status changed by Potomac Nationals. May 24, 2010 Potomac Nationals placed C Derek Norris on the 7-day disabled list retroactive to May 22, 2010. May 10, 2010 Potomac Nationals activated C Derek Norris from the 7-day disabled list. April 22, 2010 Potomac Nationals placed C Derek Norris on the 7-day disabled list retroactive to April 19, 2010. April 5, 2010 C Derek Norris assigned to Potomac Nationals from Hagerstown Suns. January 25, 2010 Washington Nationals invited non-roster C Derek Norris to spring training.